Did You Know That Massage Can Be Helpful For Carpal Tunnel Syndrome? Schedule regular massage sessions to reduce stress and address specific muscle groups that restrict breathing. A migraine often begins as a dull ache and then develops into a constant, throbbing pain that one may feel at the temples, as well as the front or back or one side of the head. 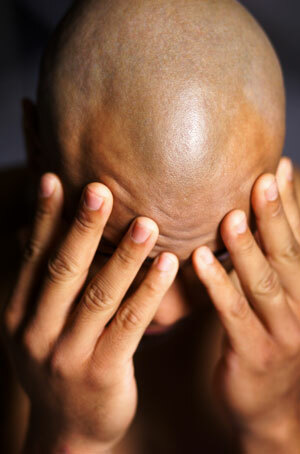 Nausea and vomiting, sensitivity to light and noise usually accompanies the pain from a migraine headache. Many, if not most of us, walk around on a daily basis experiencing some areas of sharp tenderness or irritation – “knots”- in our muscles. (Think top of your shoulders or between your shoulder blades). If persistent, some of these spots may become trigger points, and may lead to pain of varying degrees. True trigger points are characterized by tender points which refer sensations – pain, heat, cooling numbing or tingling – to other areas in addition to the initial area of pain. The third phase is referred to as post-menopause. In this phase, women acclimate to the hormonal changes and the symptoms typically subside, although some women still continue to experience the symptoms, often to a lesser degree. How can Menopause empower women? Yoga can improve strength and flexibility, and encourage greater energy and vitality. Massage therapists offer a calming, natural, and drug-free way to ease common symptoms of menopause. Yoga provides an additional outlet for spiritual and intuitive expression as a balancing factor during menopause. No matter what phase a woman is in, massage therapy and yoga can be physiologically and even psychologically beneficial during menopause. Take care of yourself and be kind to yourself especially during transitional times in your life such as menopause. Seek out a professional massage therapist who understands the difficulties associated with menopause. Find the type of massage that addresses the issues you are experiencing. Look to yoga as a helpful adjunct to restoring ease and balance. And, schedule regular massages to help you to nourish, heal, and regain a sense of balance and body-mind connection. Because each individual experiences symptoms differently, it is difficult to pinpoint the best type of massage or to determine an optimal length for massage for an individual with MS. Swedish massage and reflexology have shown benefits for individuals with MS. Increased stress can exacerbate symptoms of MS and massage therapy can help to reduce one’s experience of stress. Massage can also help to maintain health and mobility of the tissues. If no sensation is present in certain areas, very light work or energy work may be more appropriate. Have you ever experienced a stiff neck or neck pain? At some point in our lives, each of us will very likely experience some type of neck pain. However, certain people may be predisposed to acute or chronic neck pain due to their occupation. Employees who perform repetitive tasks, sit for prolonged periods of time and use their upper extremities are at a greater risk of developing neck pain.